PM Narendra Modi had announced demonetisation, banning Rs 500 and Rs 1,000 notes, in a televised address two years ago. Demonetisation anniversary: Finance Minister Arun Jaitley wrote a blog on Facebook. Finance Minister Arun Jaitley posted a strong defence of demonetisation today as opposition parties seized the second anniversary of the move to rip into the government and even demand an apology from Prime Minister Narendra Modi. In a Facebook post, the minister described PM Modi's overnight ban on higher currency notes on November 8, 2016, as a "key step in a chain of important decisions taken by the government to formalize the economy". The number of income tax assessees have increased from 3.8 crore in May 2014 to 6.86 crore in four years of the BJP-led government, he said. "By the time the first five years of this government are over, we will be close to doubling the assessee base," the senior minister wrote in the post titled "Impact of Demonetisation". 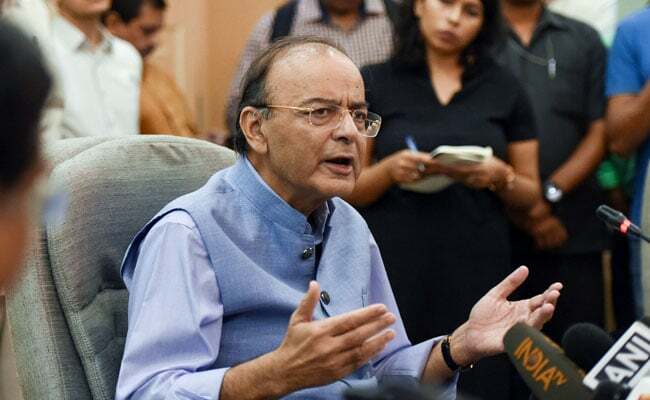 Arun Jaitley said the notes ban had helped tackle tax evasion and the extra resources from increased tax collection had been used in infrastructure, social sector and villages. "More formalisation, more revenue, more resources for the poor, better Infrastructure, and a better quality of life for our citizens," he said. The finance minister also parried massive criticism of the government after Reserve Bank of India's annual report showed that 99.3 per cent of the banned cash had returned. "The system required to be shaken in order to make India move from cash to digital transactions. This would obviously have an impact on higher tax revenue and a higher tax base." Demonetisation compelled people to deposit cash - which involves anonymity in transactions and enables tax evasion - in banks, Mr Jaitley argued. "The enormity of cash deposited and identified with the owner resulted in suspected 17.42 lakh account holders from whom the response has been received online through non-invasive method," he shared. The violators faced action, larger deposits helped the lending capacity of banks and a lot of money was diverted to mutual funds.